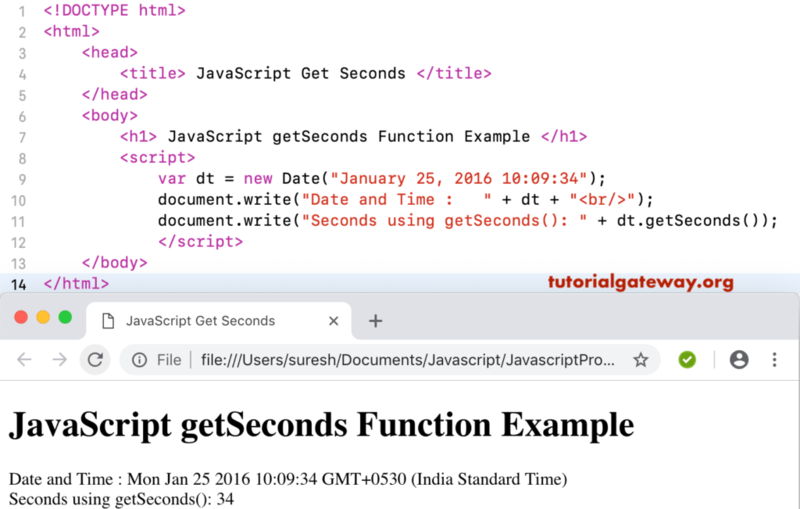 Here, we are using getSeconds to return the total number of seconds in a current date and time. In this example, we extract the seconds from the custom date without seconds (time). This will return 0 seconds.